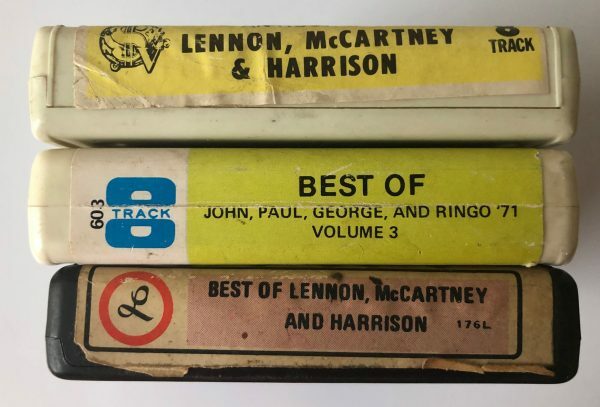 For Part Four of our Beatles series, some 8-tracks that reunited the Fab Four…on tape, anyway! They’re bootlegs? So these have rare outtakes? No, these are all the familiar studio recordings. 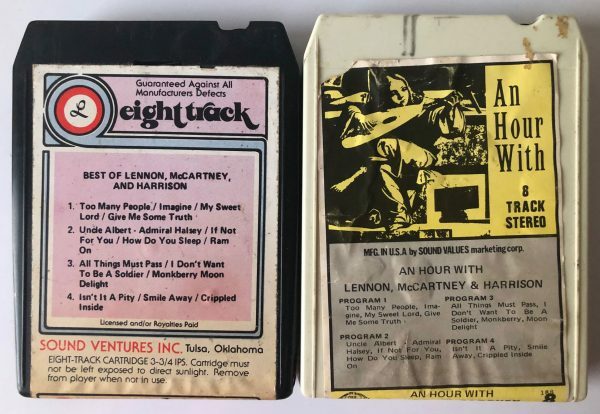 “Bootleg” is 8-track shorthand for a pirated (unofficial) tape. Do these cover a bunch of solo albums? Really just three: George Harrison’s All Things Must Pass (November 1970), Paul and Linda McCartney’s Ram (May 1971), and John Lennon’s Imagine (September 1971). The John, Paul, George, and Ringo ’71 tape adds 1970 tracks from John, Paul, and Ringo. When were these made? 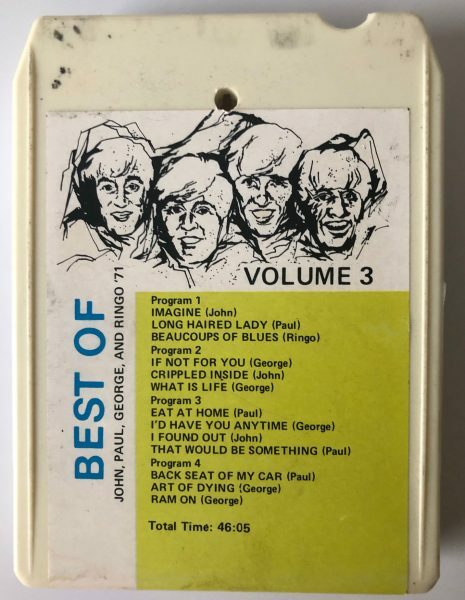 Both tapes appear to be from fall 1971, after Imagine but before Paul’s Wings – Wild Life and George’s Concert for Bangla Desh were issued for Christmas 1971. And this was legal? Not exactly. 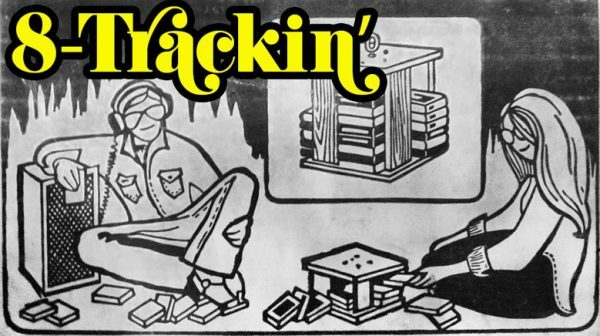 These so-called “truck stop” tapes were in a legal grey area at this point, as bootleggers were supposedly paying some royalties but not actually getting permission to use the material. 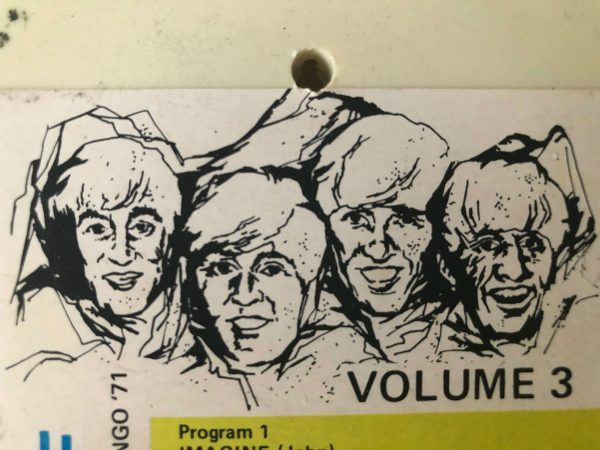 Was this just an 8-track thing? Pretty much, if only because it was easier to reproduce them surreptitiously (at home, if necessary). 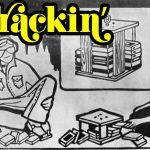 A couple shady vinyl collections from Asia can be found here and here. Why does only one tape use Ringo’s songs? Having written only two Beatles numbers, Ringo wasn’t really seen as being a singer-songwriter the way the other three were. Though Ringo had two albums under his belt at this point, he hadn’t really had any hits — other than the smash “It Don’t Come Easy,” inexplicably omitted from both tapes here. 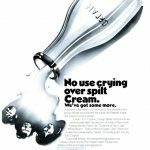 What other stuff didn’t they use? Beyond the Ringo snub, the tapes largely ignore the fine McCartney and John Lennon – Plastic Ono Band. 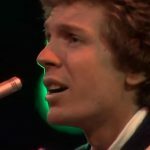 George’s hit singles are well-represented here, but Paul’s “Another Day” and John’s “Give Peace a Chance,” “Cold Turkey,” “Instant Karma!,” “Power to the People” were passed over. However, the prevalence of album tracks does help these gel better as albums in themselves. How do the tapes sound? Like so many 8-track boots, these vinyl-sourced collections sound superb, crisp, and bright, as good as their legal equivalents. (Best of Lennon, McCartney, and Harrison is probably a straight dupe of the Hour With set, resulting in muddier sound.) The John, Paul, George and Ringo tape has some flubs on the label: the McCartney track “That Would Be Something” is actually the “Valentine Day” instrumental from the same album, and his song “Ram On” is credited to George! Now what? If you’ve read this far, you must be interested in the Beatles. So go ahead, create your own “what if the Beatles never broke up” compilations on Spotify, iTunes, cassette or even 8-track! Include all the solo hits or just your favorite “deep tracks.” Sequence it like George Martin would have — or do it your own way. There’s no wrong answer here, so have fun and enjoy your impromptu Beatles reunion! Join us for more of Andrew Tonkin’s 8-Trackin’ next Thursday! Since going to press, 8-track buddy Pat Sabel has tipped me to what is clearly the ultimate solo Beatles compilation, assembled by none other than actor Ethan Hawke. He originally compiled the 3-CD “The Black Album” for his daughter accompanied by copious liner notes. Director Richard Linklater insisted that the collection be included in ‘Boyhood,’ and in the film Hawke’s character is seen giving the set to his son. Now this would be a set of 8-tracks!